Practicing in the areas of real estate, eminent domain, construction law, surety law and litigation, I represent clients throughout the state of California. I will solve your legal problems in a way that makes economic sense. Are you a property owner whose land is being condemned, or taken, by a governmental body? You have rights in these proceedings, and I can help you protect those rights. While it's true that state, local, and federal governments may take your property for a public purpose, both the California and the United States Constitutions require that fair compensation be paid for property taken. Help you to obtain an appraisal and determine just compensation. Defend you in court and protect your rights when a condemnation lawsuit has been filed and served. Prior to opening my practice, I was Managing Attorney of the claims and legal departments at an insurance company. I authored the chapter on contractor's license bonds in Model Jury Instructions for Surety Cases, published by the Tort and Insurance Section of the American Bar Association. I look for creative ways to solve my clients' problems, and I look for solutions that are cost-effective. I have handled a number of trials in courts throughout California. I handle disputes arising out of commercial and residential construction, as well as disputes arising out of public works projects. I represent clients in mediations and arbitrations, as well as in trials and appeals. I have experience in real estate litigation, from the initiation of the action, to the final disposition. 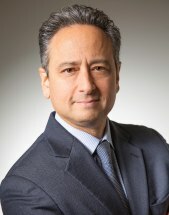 I also assist clients in negotiating settlements and alternative resolutions to disputes, such as through mediation. As it is in all of my practice areas, providing optimum service to my clients is the goal. I give each matter my personal attention, keep my clients informed, and always keep my clients' interests and goals at the forefront. Listed, Southern California Super Lawyer, Los Angeles Magazine, 2006. Published Works: Model Jury Instructions for Surety Cases, Chapter 5, Contractors License Bonds, American Bar Association, 2000; In-House Insight, Corporate Counsel Update Section of California Law Business, Supplement to the Los Angeles Journal and the San Francisco Daily Journal, June 26, 1995. Panelist, Model Jury Instructions for Surety Cases, ABA Conference in New York City, 2000; Co-Speaker, Handling Miscellaneous Bond Claims, Western States Surety Conference, 1998.